5-hydroxymethyl-2-furaldehyde (5-HMF) is an important substance that affect quality of honey and shows toxicity for humans and honey bees. The pathway of 5-HMF formation in honey is still unknown. 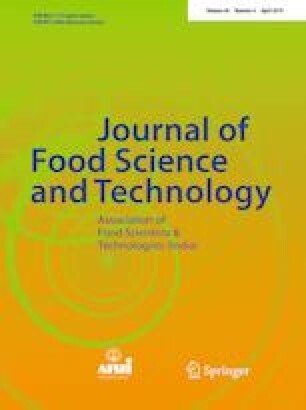 In this study, we tested the effect of thermal treatment (at 90 °C for 4 h) on the formulation of 5-HMF formulation in rapeseed with varied honey composition. 5-HMF content of honey increased at higher water content, Ca2+ and Mg2+ content and lower pH. However, the formation of 5-HMF was not significantly influenced by glucose, fructose, Na+, or K+ contents. Furthermore, different content of proline, the most abundant amino acid in honey (a substance in Maillard reaction), had no effect on 5-HMF formation. Free acids in honey can catalyze fructose and glucose to form 5-HMF. These results suggest that dehydration of glucose or fructose, instead of the Maillard reaction, is the main pathway of 5-HMF formation in honey. This study gives new insights for the mechanisms of 5-HMF formation and provides method for reducing 5-HMF formation during honey processing. We thank Hailong Li, Yinghua Wang, Yiru Yin, Qishuang Li, Xinsheng Zhang for their help performing some experiments. This study was supported by the earmarked fund for Modern Agro-industry Technology Research System (CARS-45-KXJ19) and Education and Scientific Research Project of Middle and Youth Teachers in Fujian (JA15151).